The Manhattan 2 drawer bedside table is futurisitc in design, the 2 drawers feature recessed handles that are very ergonomic and easy to use. The drawers do not feature any parts that stick out of the main shell giving a very sleek and contemporary design. There are 2 spacious storage drawers which the beautiful recessed handles and sit flush to the front and side of the drawers. The top of the drawers provides the perfect place to keep items you require close to hand during the night, including glasses, lamps and alarm clocks. 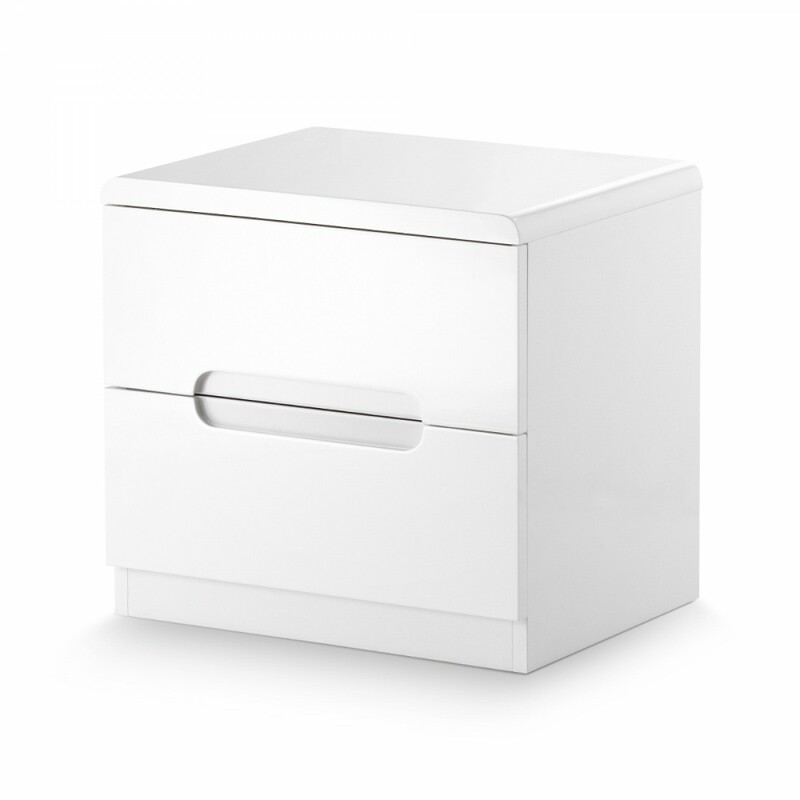 Тhe Manhattan bedside table is supplied flat pack for ease of delivery and storage. The drawers are easy to assemble using the instructions provided. The product is part of the Manhattan White Wooden Bedroom Furniture Collection.